An edited version of Desert Island Discs with Jazz Gems Host Gerald Hodge and invited guest Bill Smith who chooses a selection of recordings to accompany him to a Desert Island. Desert Island Discs • June 17th/2012…with music by Gerry Mulligan, Miles Davis, Thelonious Monk, Ben Webster & Coleman Hawkins, Ornette Coleman, Charles Mingus, Oscar Peterson Trio with Milt Jackson, John Coltrane, Duke Ellington, Rahsaan Roland Kirk, John Carter & Bobby Bradford, Archie Shepp & Horace Parlan, Tony Wilson & Bill Smith. 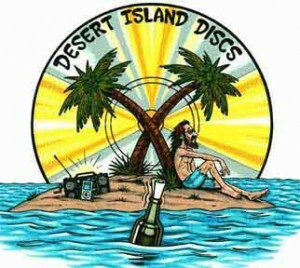 Each week a guest (“castaway”) is asked to choose eight pieces of music, a book and a luxury item for their imaginary stay on the island, while discussing their lives and the reasons for their choices.